The legendary Ibanez TS9 TubeScreamer overdrive pedal is now available in this stunning gold finish. Made in Japan in highly limited numbers, this is the ultimate version of the ultimate overdrive pedal. Now in stock, so secure yours today! We offer fast delivery to the UK and Europe. 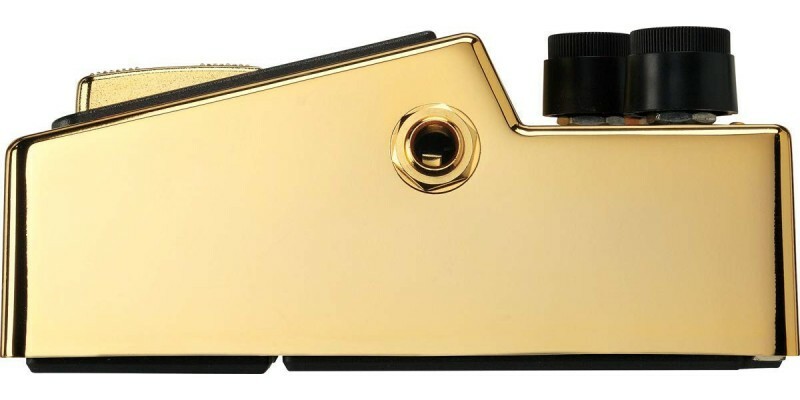 The Gold finish on this limited edition model belies the classic simplicity of the pedal beneath. 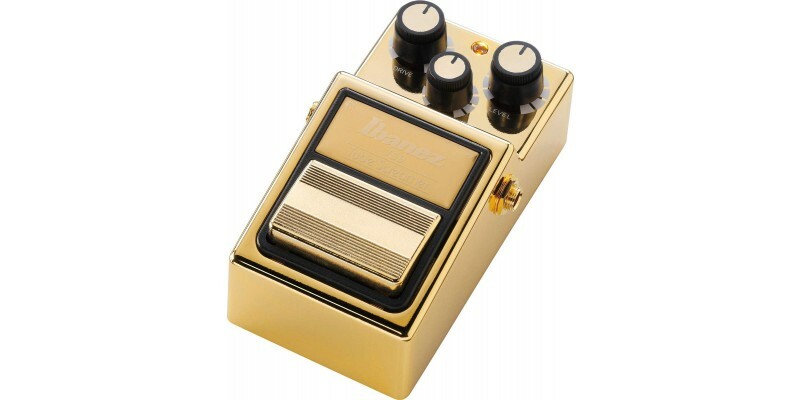 In a world of dizzying, often over-complex technology, the durable, dependable, and simple Ibanez TS9 Gold stompbox continues to be the most widely used and effective means to expand, colour, distort, mutate, sustain, and twist tone. 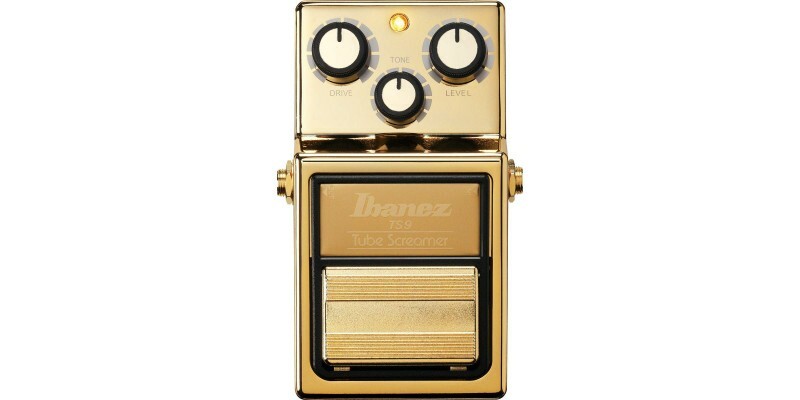 The Ibanez TS9 Tube Screamer is a reissue that's just like the original in so many ways. Same factory, same components, same housing, and the same crankin' overdrive that made the original one of the all-time classic pedals. Guitar Player called it the best. Plug it in. Crank it up. You'll hear what all the fuss is about. Tone, drive, and level controls.